Mortgage rates inched slightly higher this week with the benchmark 30-year fixed inching higher to 3.87 percent, according to Bankrate.com’s weekly national survey. The 30-year fixed mortgage has an average of 0.17 discount and origination points. The larger jumbo 30-year also saw an increase, rising to 3.78 percent, and the average 15-year fixed mortgage held steady at 3.10 percent. Adjustable mortgage rates mostly followed suit, with the 5-year and 10-year ARMs climbing to 3.33 percent and 3.73 percent, respectively. 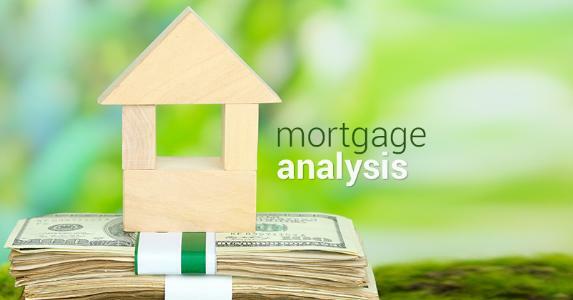 Mortgage rates moved upward to the highest point in the past month following a well-received employment report showing better than expected job growth and positive revisions to previous months. This, coupled with a better overall tone of economic data and a rebound in equity markets, comforted investors with the thought that perhaps fears of a recession are overblown. Bonds sold off, with bond yields – which move inversely to prices – rising in response as investors poked their heads out from under the cover of safe haven U.S. Treasuries. Mortgage rates are closely related to yields on long-term government bonds. At the current average 30-year fixed mortgage rate of 3.82 percent, the monthly payment for a $200,000 loan is $939.90. The survey is complemented by Bankrate’s weekly Rate Trend Index, in which a panel of mortgage experts predicts which way the rates are headed over the next seven days. The panelists are split down the middle this week, with 50 percent of the respondents predicting that mortgage rates will rise next week and 50 percent expecting rates to remain more or less unchanged. None of the experts believe that mortgage rates will fall over the next seven days. Bankrate is a leading publisher, aggregator, and distributor of personal finance content on the Internet. Bankrate provides consumers with proprietary, fully researched, comprehensive, independent and objective personal finance editorial content across multiple vertical categories including mortgages, deposits, credit cards and other categories, such as retirement, automobile loans and taxes. The Bankrate network includes Bankrate.com, CreditCards.com, and Caring.com, our flagship websites, and other owned and operated personal finance websites, including Interest.com, Bankaholic.com, Mortgage-calc.com, CreditCardGuide.com and CreditCards.ca. Bankrate aggregates rate information from over 4,800 institutions on more than 300 financial products. With coverage of over 600 local markets, Bankrate generates rate tables in all 50 U.S. states. Bankrate develops and provides web services to over 100 co-branded websites with online partners, including some of the most trusted and frequently visited personal finance sites on the Internet such as Yahoo!, CNBC and Bloomberg. In addition, Bankrate licenses editorial content to over 500 newspapers on a daily basis including The Wall Street Journal, USA Today, The New York Times, The Los Angeles Times and The Boston Globe.